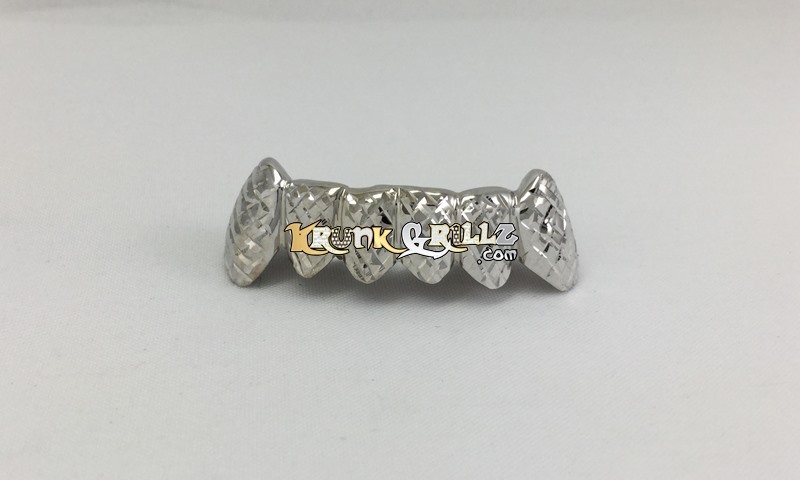 This custom-fit gold grillz has diamond cuts to the edge of each tooth. 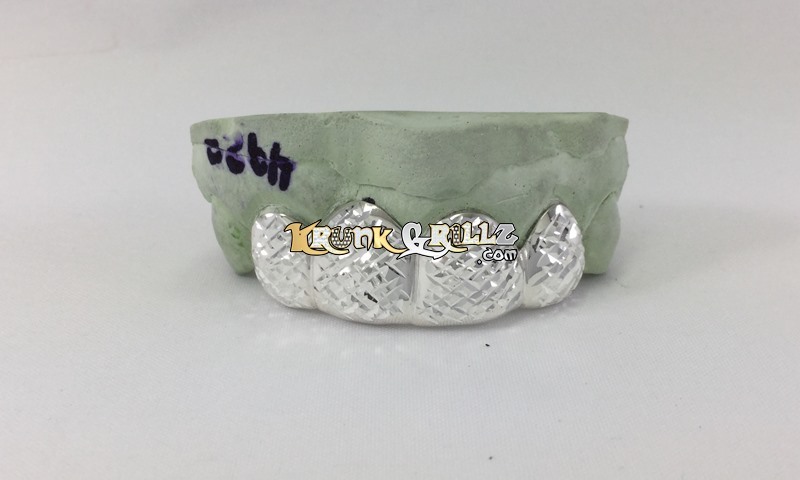 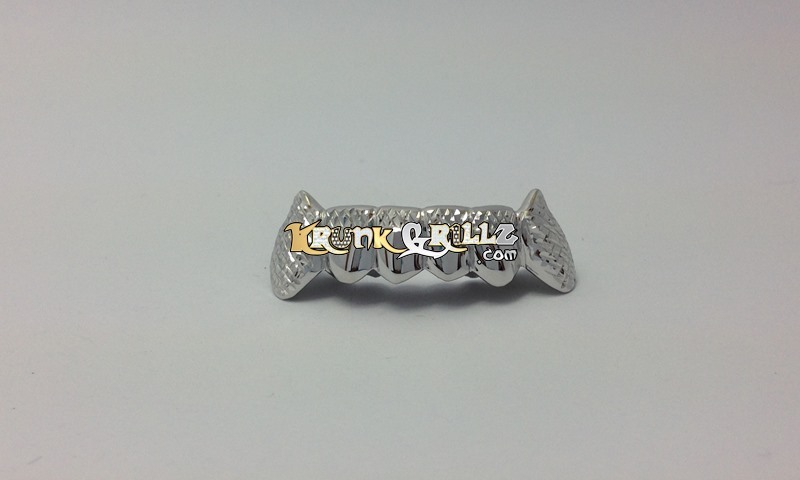 The classic diamond cut design has been one of the most popular grillz over the years. 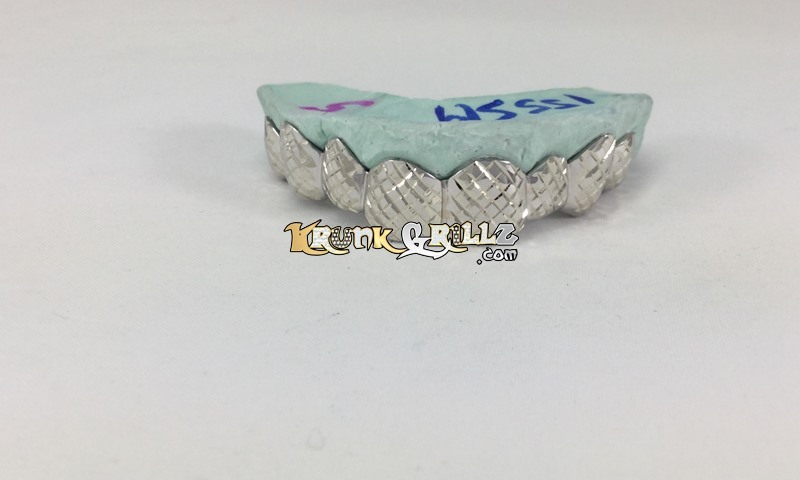 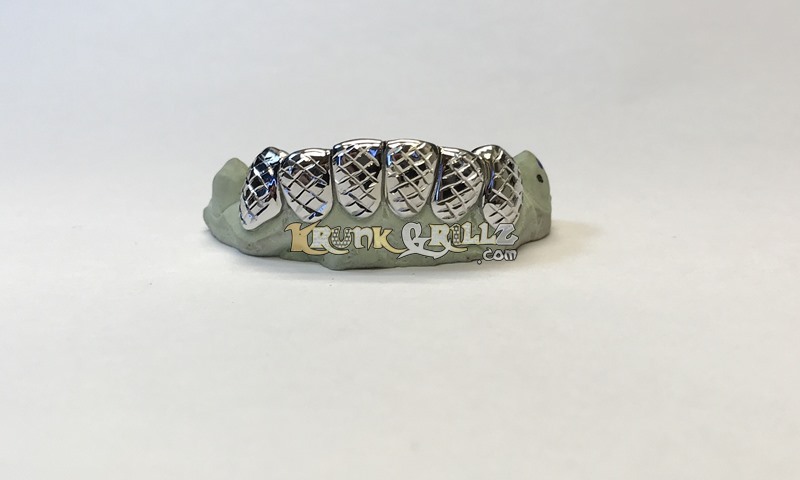 The light reflects from each cut giving the same effect as diamond grillz at a fraction of the price. 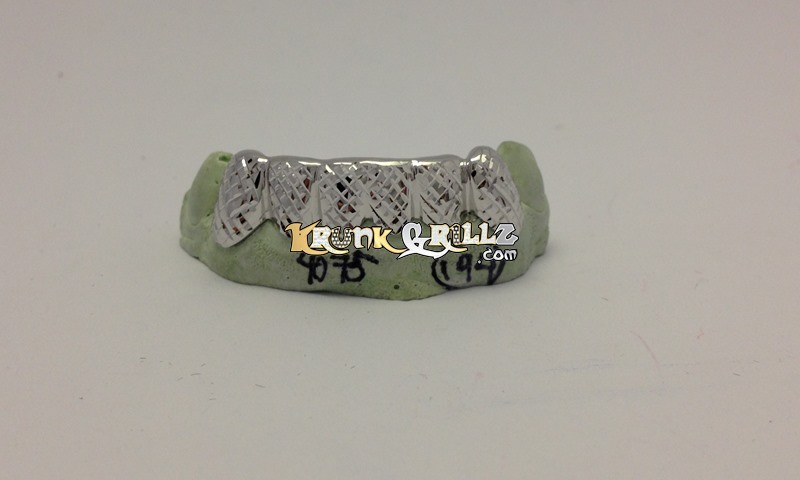 This photo shows 6 top teeth in silver with protective coating.